Gah! 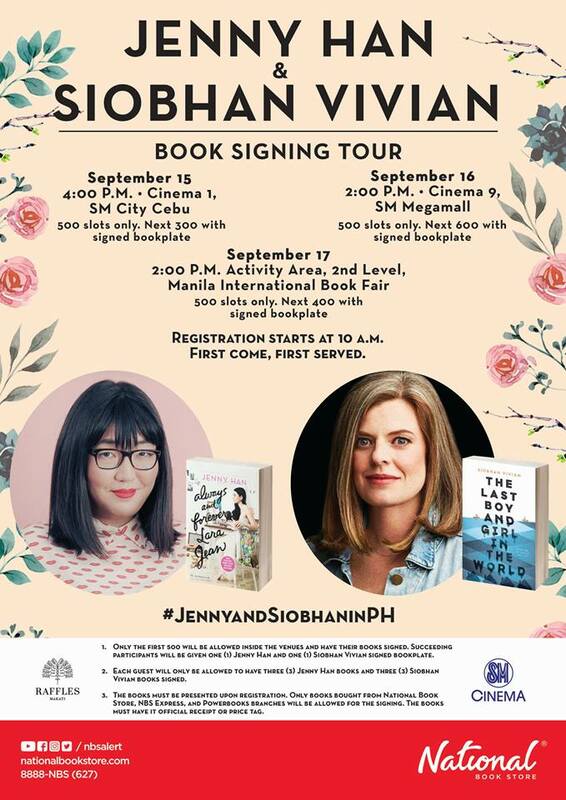 Jenny Hand and Siobhan Vivian are coming to the Philippines. On a Friday?! Only the first 500 will be allowed inside the venue to have their books signed. Succeeding participants will be given 1 bookplate from Jenny and 1 book plate from Siobhan. Only 3 books per author can be signed Books must be presented upon registration. Only books from NBS, NBS Express and Powewrbooks branches will be allowed for the signing. Books must have the official receipt or price tag. Registration starts at 10 am. But as a book signing veteran, you’d all want to be there before ten. Sometimes they even let participants enter the mall before opening hours so they can get registered. I’ve known people who would literally arrive at dawn just to be the first in line.